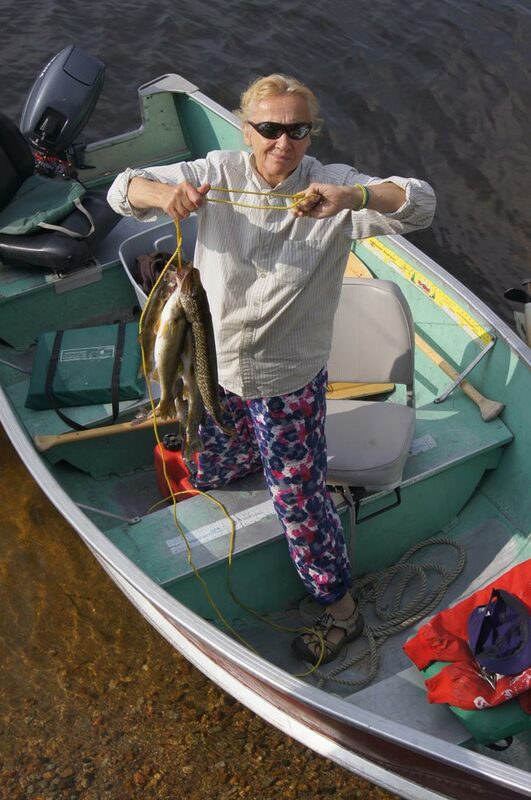 At our camp you can get up each morning anticipating an unbelievable day of fishing. 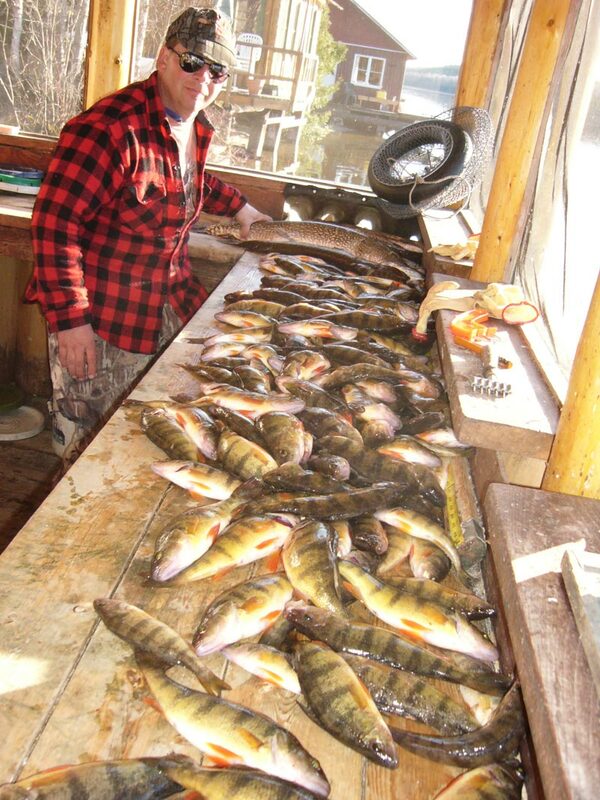 Walleye and pike fishing is great throughout the whole season, while perch are easier to catch in the spring. Whitefish are plentiful during the Mayfly hatch, which usually occurs the first week in July. It is quite unusual for guests to leave not having caught their limit. Each winter we make ice so your catch will be safely stored during the week. Then we’ll pack your fish on ice to take home. A large freezer is available as well. 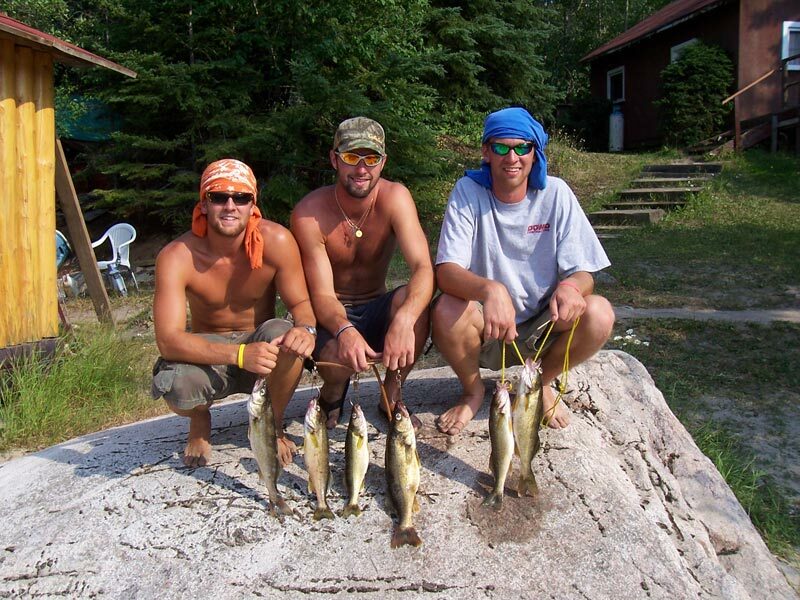 We provide you with a map with all the local “hot spots” and the best “up-to-date” fishing information. The lake is easily navigated, but for newcomers, guides are available to help. In our new fish house all the latest stories and fishing tips are freely shared. We have 14-foot aluminum Sea Nymph and Naden boats, which are ideal for this lake. We offer newer Yamaha outboards. Your boat will be conveniently beached near the cabin ready to go in the morning. The bracing air gives us the feeling We’re getting much more than just fish; It’s wholesome, it’s healthful, it’s healing; It’s all any human could wish! 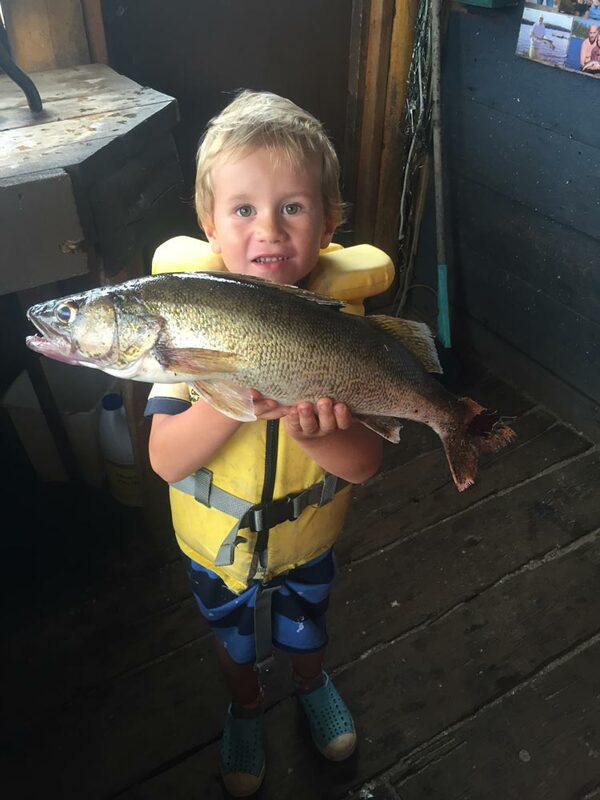 Walleye, also called the yellow pike, is a freshwater perciform fish native to most of Canada and to the Northern United States. It is a North American close relative of the European zander, also known as the pikeperch. The northern pike, known simply as a pike in Britain, Ireland, most of Canada, and most parts of the United States, is a species of carnivorous fish of the genus Esox. They are typical of brackish and fresh waters of the Northern Hemisphere. The yellow perch (Perca flavescens) is a freshwater perciform fish native to much of North America. Yellow perch are closely related, and morphologically similar to the European perch (Perca fluviatilis); and it is sometimes considered a subspecies of its European counterpart. Other common names for this fish are Speckled Trout, Squaretail and Brookie. 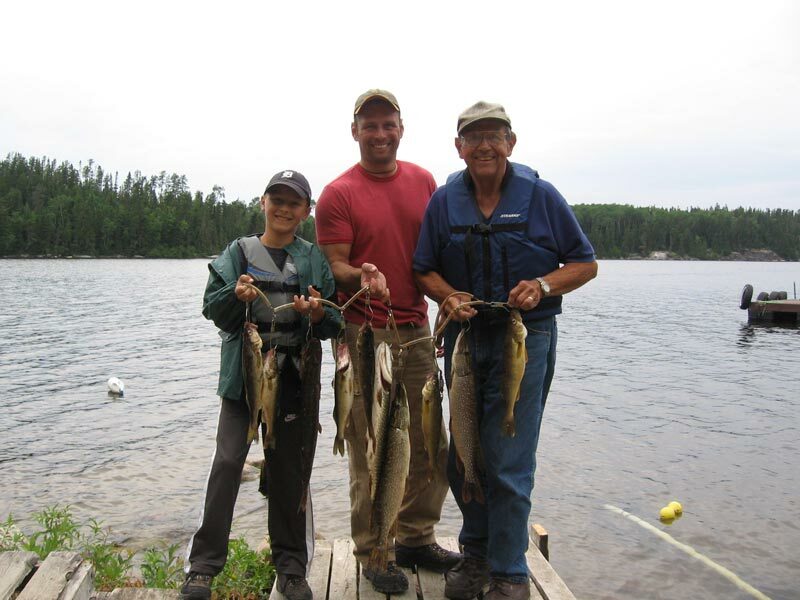 Specks can be found in Central and Northern Ontario streams and lakes, usually in less than 20°C water. Favourite spots are shaded areas like under fallen trees, underneath banks, and behind rocks. One morning alone we caught 107 Northern Pike and Walleye. Then went back that night and caught another 70 for a total of 177 fish that day! WE OFFER BEAR AND MOOSE HUNTING PACKAGES. Bear Season Spring May 1 – June 15, Fall August 15. Moose Fall Season. Please contact us directly for pricing and to book your next hunting trip.